WordPress is one of the most popular content management systems in the world. One of the reasons for this huge popularity is the ease and flexibility it offers to handle a website. Creating a website does not really require extensive coding skills, or mastery of programming languages. In fact, WordPress has made web development accessible to everyone. However, when you are managing a business or an eCommerce store using WordPress, constant maintenance can take a lot of your time. So, it is much better to hire the services of some of the good WordPress Maintenance Providers. In this article, we will discuss some of the popular WordPress Maintenance Providers you can rely on for fixes and customization. WP Buffs is one of the most popular WordPress maintenance providers who offers 24/7 services any where in the world. They have a team of experts placed all around the globe, so timing won’t be an issue to get their services. WP Buffs will help you with WordPress edits round the clock. In addition, they offer a reliable WordPress security plugin for your site when you opt for their services. Continuous monitoring of your website and speed optimization services will ensure that your site’s performance is optimal at all times. Moreover, plugin and theme updates won’t create a hassle for you anymore as WP Buffs takes care of that on a weekly basis. WordPress sites with advanced functionalities (for example with WooCommerce) are fully managed by their team. Furthermore, they provide detailed reports documenting every single change that they make on your site. With near-perfect customer satisfaction score, WP Buffs is a reliable partner for WordPress site maintenance. WP Buffs pricing plans start from $67 per month. Here is a friendly bunch that offers fast WordPress maintenance services for your website at all times. Offering a personalized care package, they are among the most popular WordPress maintenance services in the ecosystem. They offer 24/7 monitoring of your site using advanced security tools and makes sure hackers don’t breach. Daily backups of your database, files and images ensure that your site is safe and can be easily restored in case of an issue. WP Site Care offers WordPress maintenance services and continuous protection against security threats. Moreover, they ensure that your site is performing at its best all the time, and never lag behind in search engine rankings. So, if you are really not sure how to bring more traffic to your site, WP Site Care is the team to go for. Furthermore, what their clients love about WP Site Care is the quick resolution of any kind of technical issue. After all, when you are running a business on your WordPress site, you need to be certain that issues can be resolved quickly. The basic pricing plan of WP Site Care starts at $79 per month. A very knowledgeable set of experts will be taking care of your site if you are partnering with Maintainn. They offer support services right from building up a WordPress website from scratch. Mantainn partners with Sucuri to ensure that your site is protected from diverse threats at all times. Moreover, their tea of experts will be always there to provide you the right guidance in getting the most out of your WordPress site. Your website will get the support of some of the best WordPress maintenance providers when you opt for a plan of Maintainn. Updating your site won’t be a problem for your anymore, as Maintainn team will take care of it on a weekly schedule. They also offer daily backups of your database and file system, so that your site can be effectively restored in case of an issue. If you have custom development work, their team will be able to help you irrespective of the size of the project. Similarly, if your need to migrate from your hosting service to a new one, you can get their services. 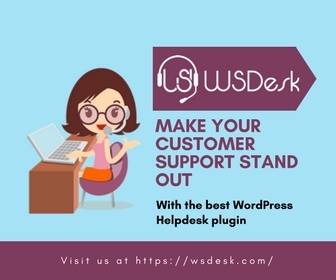 Getting Maintainn services is extremely easy, as you will find a support button on your WordPress dashboard after signing up for their services. The basic support plan of Maintainn starts from $49 per month. 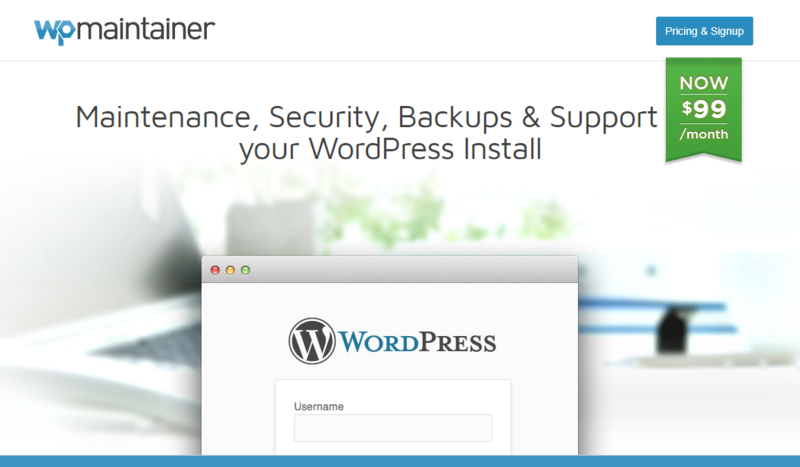 WP Maintainer is a popular option among the WordPress maintenance providers, who offers hassle free support. Every time you make an update to your site, you don’t have to worry about compatibility issues, as WP Maintainer team will take care of it. Also, they offer one hour of compatibility support in case an update leads to compatibility issues on your site. Moreover, they will provide option for online or offline backup services according to your convenience. Also, you will get superior security services powered by Sucuri on your site. WP Maintainer is an expert bunch of WordPress Maintenance Providers that you can rely on for a wide range of issues related to your website. Furthermore, they offer free migration services whenever you decide your current hosting provider is not apt for you. When you opt for their maintenance services, WP Maintainer offers a monthly access to their development team. You can use this access to resolve pending issues or to go for some feature addition or customization. Partnering with WP Maintainer also offers you a chance to get discounted rates on extra services from Sizeable Interactive. The pricing plans of WP Maintainer starts at $99 per month. Irrespective of your requirement, you will find exceptional service from The WP Butler at all times. With solid expertise in WordPress maintenance, they will make sure your site is always up and running at its best. In case your site goes down, they will be always ready to quickly restore it back to normalcy. More importantly, they offer foolproof security to make sure your site is safe and sound. Most of their clients vouch for the freedom to focus on the business aspects of their site than getting harrowed by the technical side of it. The WP Butler will keep your site like a well oiled machine all the time. They offer continuous maintenance plans, where you will get continuous uptime monitoring and security services. In addition, they offer a few one-off services like configuring HTTPS, caching, speed improvements, etc. You can also choose for a monthly retainer plan where someone will be working with you to fix errors, build new functionalities or update content. You can always talk to their team and workout a custom plan according to your requirement as well. A basic maintenance plan of The WP Butler starts from $39 per month. 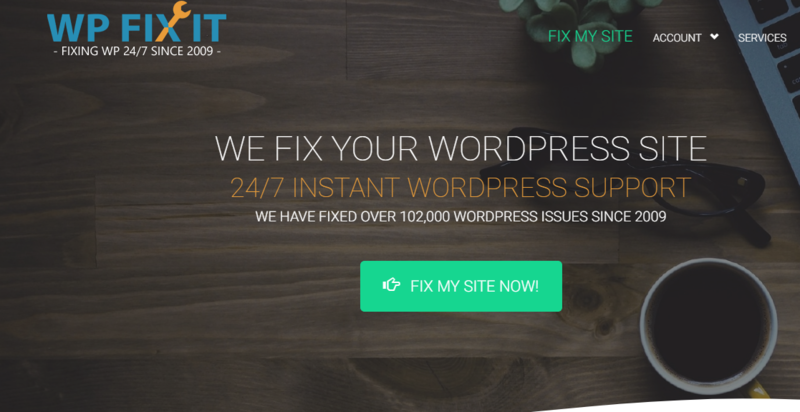 For a wide range of WordPress support services, you can rely on the efficient team of WP Fixit anywhere from the world. If your site is infected, you can opt for their infection removal service, which will also ensure that your site will be safe from future issues. In addition, you can also opt for a round the clock website monitoring option to secure your site from security threats. Similarly, they have a fixed price solution to deal with performance issues on your site. WP Fixit offers a range of services ranging from general support jobs to entire site maintenance. 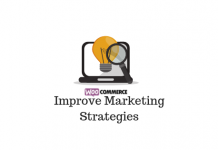 In addition, they also offer WooCommerce checkup. Basically, when you are running a WooCommerce store, you may not always get time to check if everything is working optimally. In such cases, WP Fixit service will be a good idea to verify if everything is working as it should be. Moreover, you can even partner with them to take care of the entire management of your WordPress site. One of the standout features of their service is that you can quickly get someone look into your issue as soon as you raise a ticket with them. Moreover, their pricing is quite transparent and you won’t end up paying any additional charges. A general support job with them would cost you $39. Valet offers a great range of services to help you with varied aspects of your site maintenance. Instead of dedicating time and effort on developing a team of developers, you can instant support from companies like Valet. They are quite suitable for simple site management tips to more detailed and heavy duty development work. You can consult them even for routine site improvements and for implementing additional capabilities. Valet offers reliable website maintenance services for your site with the help of an expert team spread across the world. They have a team of WordPress experts distributed across the globe to attend to your requests any time. As the Valet team focus on your site’s security, speed, usability, traffic, and conversion, you can rest assured. It is also worth noting that they always follow the best practices in maintaining your site. Contact to get a quote from these popular WordPress maintenance providers. If you are running a WooCommerce store on your site, WisdmLabs may be the right WordPress maintenance providers for you. 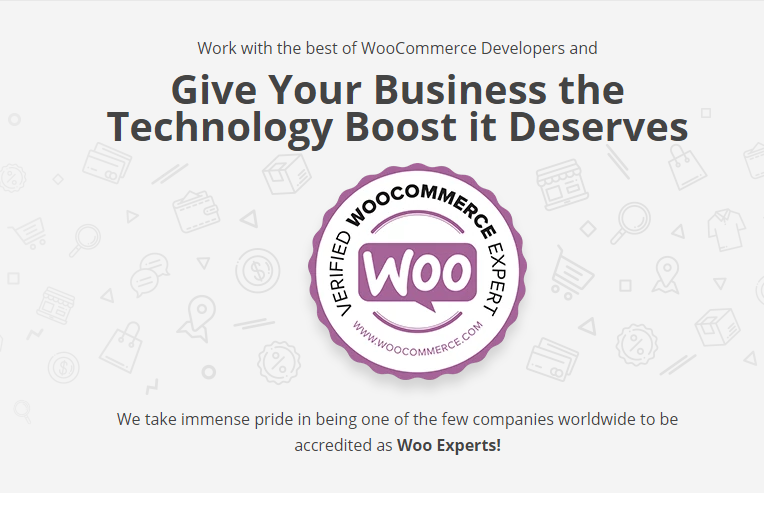 They are among the few companies that are certified as WooCommerce experts. WisdmLabs will help you implement business solutions aligned to the latest trends and innovations in the industry. They have useful solutions for businesses of all sizes, be it established enterprises or emerging ones looking for scalability. For WooCommerce specific support, WisdmLabs is a great choice as they are among the certified WordPress maintenance providers. Each project is taken up by their expert team that includes developers, designers, researchers and strategists. You can rely on them for custom workflow development, store migration, multi-site development or consultation. They also offers support services for omnichannel retail implementation, performance optimization and customer experience design. 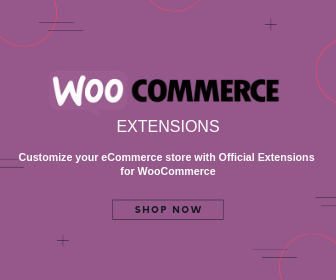 If you are looking for WooCommerce specific support, you can contact them for a quote. WordXpress is another reliable WordPress maintenance providers you can look out for taking care of your site. They offer a wide range of service that makes your WordPress maintenance hassle free. Quality support, fast updates and monthly reports are guaranteed with their maintenance plans. You will even get a 30-minute content edit job included in the plan. More importantly, they offers 24/7 support services in case you are dealing with emergencies. One of the leading WordPress maintenance providers, WordXpress offers marketing support as well for your site. WordXpress offers continuous monitoring of your WordPress site to detect any issues that interfere with your site’s uptime. And, in several scenarios, they will detect and fix an issue before you even know about it. For added security, they offers malware scanning and removal, cloud backups, spam filtering, etc. Furthermore, they will provide an SEO plugin as well as a Reviews plugin to improve your search ranking and customer experience. They will even help you maintain a WordPress-integrated podcast on your site. 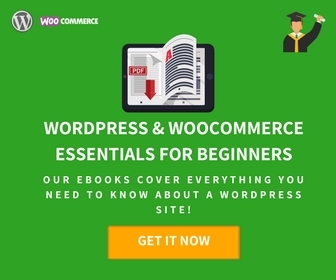 The basic WordPress support plan of WordXpress starts at $77 per month. WordPress site maintenance can be a stressful experience, particularly if you are not much technically inclined. You can rest assured when you get the help of one of the popular WordPress maintenance providers like FixMyWP. They will provide you great service as soon as you submit a support request on your website. You can ask for their help in several everyday scenarios where you struggle with your WordPress site. If your site is hacked, or you need to fix an issue with a theme or plugin, you can approach them. A popular option among WordPress Maintenance Providers, FixMyWP offers separate plans for bloggers and businesses. For bloggers, they have a Junior Maintenance Plan that includes security updates, plugin updates and backups. For business sites including WooCommerce stores, their Ninja Maintenance Plan that includes site monitoring, regular updates and weekly backups would be more appropriate. Both plans offer page speed optimization, 24/7 email support, etc. The WordPress Junior plan starts at $50 per month. You may not be technologically savvy to deal with certain WordPress issues on your site. It is best to rely on some of the top WordPress maintenance providers in such cases. They will ensure that you will have adequate peace of mind and can focus solely on your business. Hope this article helps you choose the right team when you are facing trouble with your WordPress site. Leave a comment to let us know your views. How to solve WordPress plugin vulnerabilities? 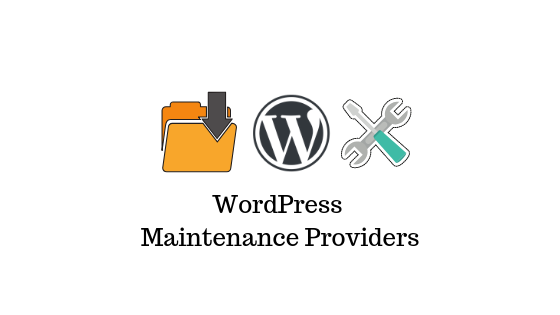 Very nice collection of WordPress maintenance service providers. I also want to make an addition to the list, WP inCare also provides good WordPress maintenance services at very affordable prices. Thank you for the feedback and additional information.